That doesn't mean that robots will be roving the aisles of your local department store chatting with customers. Instead, expect to see more automated checkout lines instead of cashiers. This shift alone will likely eliminate millions of jobs. 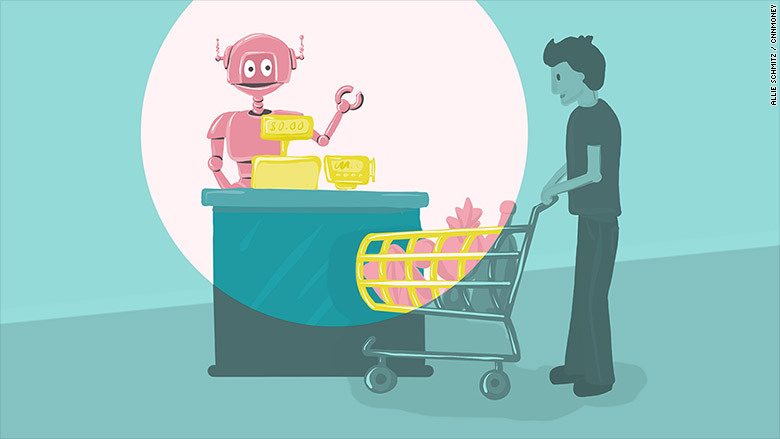 "Cashiers are considered one of the most easily automatable jobs in the economy," said the report. And these job losses will hit women particularly hard, since about 73% of cashiers are women. There will also be fewer sales jobs, as more and more consumers use in-store smartphones and touchscreen computers to find what they need, said John Wilson, head of research at Cornerstone. There will still be some sales people on the floor, but just not as many of them. Stocking shelves and inventory control, a labor intensive job function today, will also be made far more efficient with automation, he said. "You're not going to see a robot stocking shelves, at least in the near term," Wilson said. "But technology would reduce the need for as many people to do so. More efficiency means fewer things for people to do." The retail industry is already undergoing cataclysmic changes, with about 3,300 store closings announced so far this year, according to Fung Global Retail & Technology, a retail think tank. But automation will drive more job losses than store closings in the next decade, Wilson said. "Store closings have to do with overbuilding and e-commerce," Wilson said. "But going forward, job losses will really be about automation." Rising wages are also helping to drive automation, as state and city governments hike their minimum wages. Additionally, several major retailers including Walmart (WMT), the nation's largest employer, have increased wages in order to find and retain the workers they need. The increased competition from e-commerce is also a factor, since it requires retailers to be as efficient as possible in order to compete. 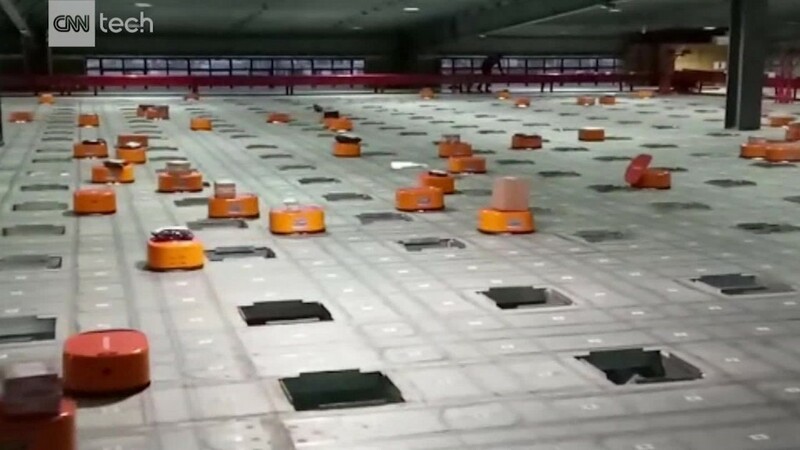 Amazon (AMZN) already uses tons of robotics in its fulfillment centers so that its workers spend very little time on each order.